Writing this particular This Book Is strikes me, going in, as a dangerous idea. 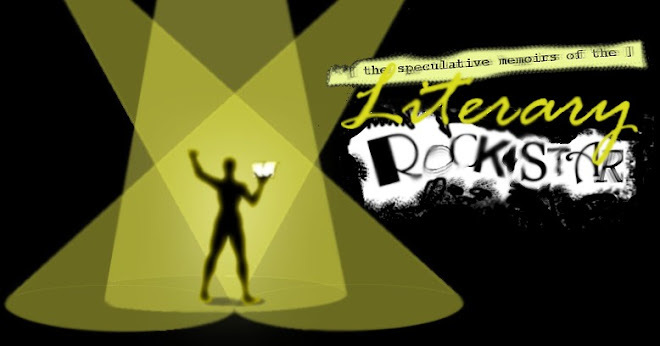 I've just started writing book reviews, and anybody who regularly reads this has no idea what I like and why yet, I'm sure. And yet, here I am, coming to tell you that a book you've likely never heard outside of a philosophy and literature class might find its way to a place among my favorite books of all time. The story of The Fountainhead is the story of architecture. Of an architect with a vision, and a world that's indifferent to said vision. I could elaborate, but it's unnecessary. The story of The Fountainhead is the vehicle for the philosophies. The fiction is compelling, yes, but like characters in a morality play, what they stand for is often more important than who they are specifically in the piece. 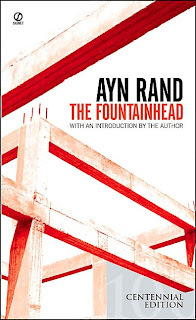 The Fountainhead is instead a story about Art and the Artist, about people who sell their soul and spirit for a normal life and about the costs and consequences of standing opposed to that philosophy. It is about the individual, and about society. It's about emotion, about thought, about ideas. I find it hard to suggest this book casually. I know very few people who would appreciate it, I think. The philosophies expounded upon are not popular, especially in this day and age when Objectivism has been perverted so far by people who leapfrogged off of it into abhorrent abuses of power. The book is blatantly a vehicle for a mode of thought, and while I think it's a great example of that, anyone who wants their books free of message would run screaming into the hills. That said, reading The Fountainhead was an experience that I'm not sure I've ever had before. I felt as though the book, with words more decisive and sure than any I could write, cut through all of my boundaries and walls and emotions to get to the very secret heart. The place where you have an idealistic you, the you that every person aspires to be, wishes they could be, and doesn't believe is ever possible. And the book pulled, naked and screaming, that secret heart out into the open. It expressed things that I felt but couldn't articulate. It articulated things that I have believed in for years. It spoke to me, and my soul sang in resonance. And so ... this isn't so much of a review. It's hard to review something that you have such an emotional investment in. I know the books faults, and I know it's strengths, but none of them are relevant in the face of what it is and what it expounds. I both think that everyone should read it, and most people couldn't possibly understand. Conflicted. In my job as a reviewer, I'm left with the inability to be objective about this. But if you want my opinion, I say give it a try.